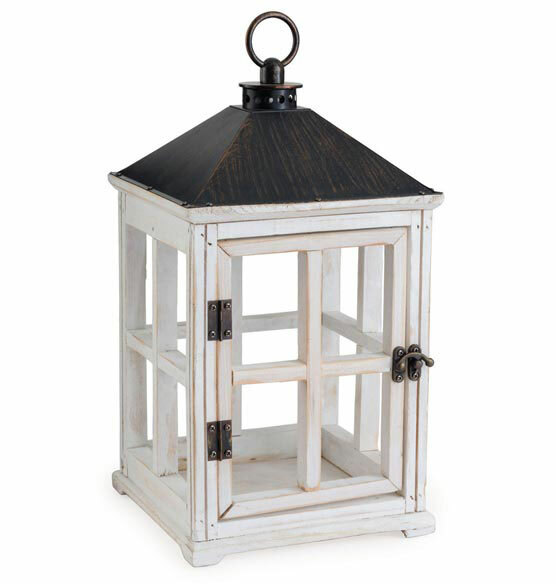 Aged white wood lantern with metal details adds charming, traditional style to any room. Lantern uses top-down warming technology to release fragrance without lighting a candle. Simply open the door, add your favorite candle and turn on using the rocker switch — the included NP5 warming bulb does the rest. Indented 3 3/4” dia. 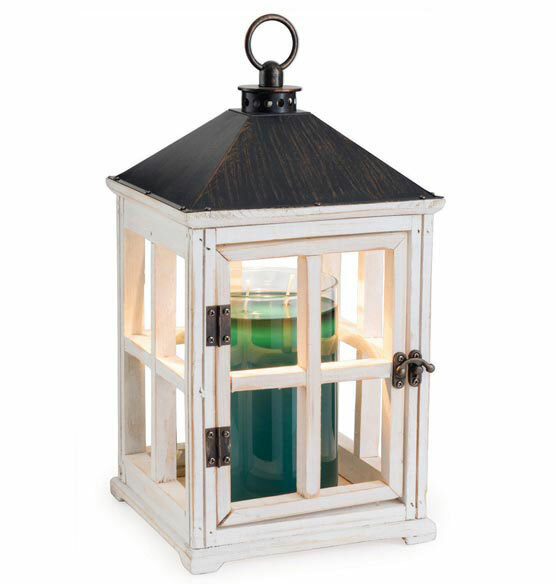 candle area holds jars up to 6”H and fits most candles 22 oz. or smaller (candles sold separately). Measures approx. 6 3/4” dia. x 12 3/4” high and weighs 2.6 lbs.